Cosmo Kramer may have had his fair share of harebrained schemes in Seinfeld, but he was onto something when he told Jerry and Elaine about his idea to open a pizza parlor where the customers make their own pizzas. The fast-casual, customizable pizza concept has caught on quickly, with places like 800 Degrees, Blaze Pizza, and PizzaRev leading the charge with affordable, piping-hot pies fresh out of wood-burning ovens. The latter is opening a new location in Koreatown, and to entice its new neighbors PizzaRev is pulling a Radiohead pay-what-you-want move on October 9th. An $8 dollar contribution is suggested, and proceeds will be funneled towards the L.A. Animal Services North Central Shelter. But for those who feel adamant about saving every penny in their pocket: anyone who follows PizzaRev on Facebook, Instagram or Twitter and shows proof of such will receive a free pizza on October 12th, from 5 p.m. to 10 p.m.
West Covina may not be a highly-trafficked, destination getaway, but for those who like a solid weekend adventure involving Indonesian food, it is certainly a rewarding place. 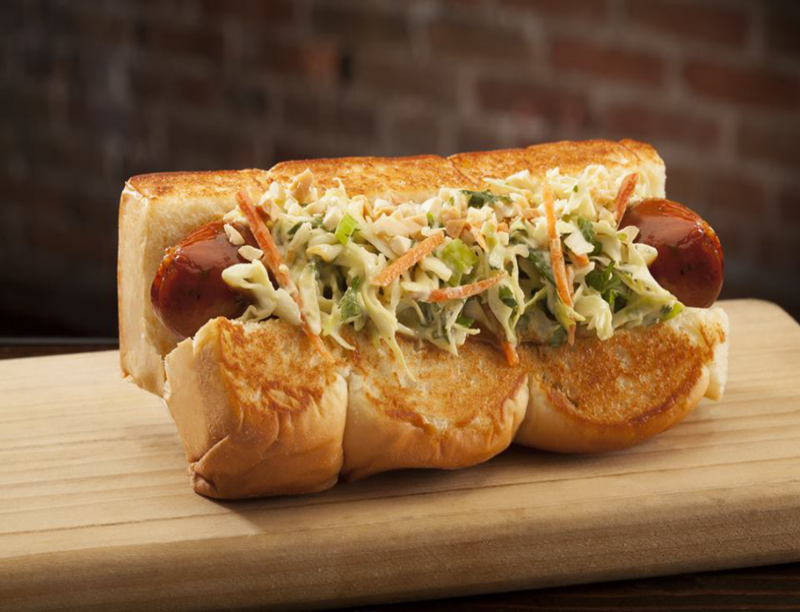 If you happen to be out there and want to pre-game before an inevitable feast of nasi bungkus and nasi goreng, stop by Dog Haus on October 4th for its grand opening and snag yourself a free hot dog. Rather than just the classic ballpark variety painted with a simple stripe of mustard and ketchup, their all-beef skinless dogs invoke the Steroid-era of America’s favorite past time: the Tae Kwon Dog comes with a bulgogi glaze, kimchi, a fried egg, and Korean chili powder, while the Grand Slam boasts smoked bacon, a fried egg, tater tots, and maple syrup Sriracha. And lest we forget to mention that all frankfurters are wedged between two grilled, mildly sweet Hawaiian rolls.